Buddhism is more like science than the Abrahamic religions, in that it relies on repeatable, verifiable experiences rather than blind faith and coercion. Buddhism is not in factual dispute with science - there is no creation myth to be defended. However Buddhism does reject Scientism and Physicalism - the views that all phenomena, including the human mind, have a purely physical explanation. When religion and science collide. Stephen Jay Gould suggested that science and religion should occupy separate or non-overlapping magisteria (NOMA), with science leaving religion alone and vice versa. 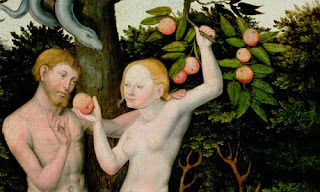 However, many critics have pointed out that this won't work as long as religion makes 'truth' claims which are contradicted by scientific evidence, such as the age of the earth being 6000 years, species being created as separate entities by God, and all humans being descended from Adam and Eve, who have 'fallen' due to the activities of a talking snake. By some process unknown to geneticists, this 'fall' has transmitted 'original sin' to all Adam and Eve's descendants. Consequently all the people on earth are now sinners and have incurred both God's holy wrath and their own shame and guilt (even without doing anything!). All are therefore in utter need of redemption by the One True Religion. Those of us familiar with the Abrahamic religions (Christianity, Judaism and Islam) have grown up expecting religion to be in conflict with science, as it has been since the time of Galileo. The conflict is getting worse, with Christian groups trying to censor evolution and promote Creationism in the classroom (in England, Korea and America), and Muslim groups issuing death fatwas for people who teach evolution. Part of the reason for the conflict is that scientists and religious people have very different criteria for the truth, with faith being more important than reason for religious believers. The truths of science are open, verifiable and repeatable. Details of scientific experiments are published in sufficient detail to allow them to be checked, confirmed and repeated by persons other than the experimenter. In contrast, the 'truths' of the Abrahamic religions are closed, unverifiable and unrepeatable. They were revealed to one or a few 'prophets', once only, a long time ago, and no-one has had a similar experience since (or if they have, they've been burned as heretics). Fortunately, Buddhism is more like science than the Abrahamic religions, in that it claims that Buddha's mental experiments can be repeated by anyone who follows the correct meditational procedures, from early 'realisations', all the way up to a total escape from the limitations that our biological existence has placed on our minds. Buddha didn't expect his students to believe what he said just on his authority, but advised them to test his teachings for themselves. Also, Buddhism doesn't have any creation myth to defend. Consequently the conflicts between science and Buddhism are conflicts of interpretation rather than fact. Indeed, it could be said that there is no conflict between Buddhism and science as such, but only between Buddhism and one particular view of science, the view that is known as 'Scientism'. How Buddhism views the world. The Buddhist view of the world differs from our 'commonsense' and conventional view, and also from that of classical (pre 20th century) science. It does however have close similarities with modern science, especially with fundamental physics, evolutionary biology and information science. Buddhist philosophy is based on the Madhyamaka ('Middle Way') view, as developed by Nagarjuna who lived around 150 - 250 AD. (1) All things exist and can be known only in terms of their causes, effects and interactions with other things. Nothing is self-defined, or a 'thing-in-itself' existing either 'from its own side' or as an instantiation of an inherently existent universal ideal form. These concepts can be difficult to grasp in our ordinary experience, but become more obvious as we study quantum physics (to negate inherent existence - the view that things exist from their own side) and evolutionary biology (to negate essentialism - the belief that things exist as instantiations of ideal forms). (2) All functioning things are both composite (composed of parts), and impermanent (subject to continual change). Even fundamental particles such as electrons aren't unitary points, but are composed of infinite numbers of probabilistic parts. And even empty space is impermanent, a seething mass of energy fluctuations and virtual particles popping into and out of existence, and causing perpetual fluctuations in all the particles that occupy space. 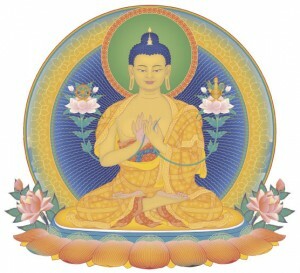 (4) Because phenomena are interrelated and impermanent, Buddhism views the world as a system of interconnected processes rather than isolated things. Relationships take precedence over things-in-themselves, long lasting things endure rather than exist, and becoming is more important than being. In western terminology the Madhyamaka would be classed as a process philosophy. How science views the world: then and now, classical versus modern science. Up until about the middle of the nineteenth century, essentialism and inherent existence were dominant in science, but since then both have been refuted and replaced by conceptualism and interdependence. Work on radioactivity in the early 20th century demonstrated that atoms were not fundamental but were composed of elementary particles - electrons, protons and neutrons. But these elementary particles did not act like classical 'things'. They were only knowable by interactions with other particles, and the mere act of observation changed their properties in an indeterminate way. Radioactivity also demonstrated the phenomenon of subtle impermanence, where the seething impermanence of the quantum vacuum interacted with unstable nuclei to force them to disintegrate in a probabilistic rather than deterministic manner. The worldview of quantum physics differs radically from that of classical physics. Classical physics regards the universe as being composed of clearly-defined building blocks ('things') which are specified by their own internal properties. Quantum physics sees the universe as an ever-changing set of relationships between entities which can be defined only in terms of those relationships. The nature of these entities changes radically according to how they are observed. If you set up your experiment to observe them as particles, then they behaved as particles. If you set it up to observe them as waves, then they behaved as waves. "For example, the particle and wave aspects of physical objects are such complementary phenomena. Both concepts are borrowed from classical mechanics, and measurements (e.g., the double-slit experiment) can demonstrate one or the other, but not both, phenomena at a particular moment. The principle of complementarity explains this as being due to the very nature of the measuring devices used. A measuring device may be designed to demonstrate either the particle or wave aspects, but the demonstration of one necessarily precludes the possibility of simultaneously demonstrating the other, because the object being measured is unavoidably affected by the measurement. It is impossible to design a measuring device that demonstrates both phenomena simultaneously not because of lack of creativity on the part of the experimenter, but simply because such a device is literally inconceivable. Moreover, Bohr implies that it is not possible to regard objects governed by quantum mechanics as having intrinsic properties independent of determination with a measuring device." Scientism is the belief that the methods of natural science, or the categories and things recognized in natural science, form the only proper elements in any philosophical or other enquiry, or that science, and only science, describes the world as it is in itself, independent of perspective with a concomitant elimination of the psychological dimensions of experience. "According to physicalism, the language of physics is the universal language of science and, consequently, any knowledge can be brought back to the statements on the physical objects." In contemporary philosophy, physicalism is most frequently associated with the mind-body problem in philosophy of mind, regarding which physicalism holds that all that has been ascribed to "mind" is more correctly ascribed to "brain" or the activity of the brain. Physicalism is also called "materialism", but the term "physicalism" is preferable because it has evolved with the physical sciences to incorporate far more sophisticated notions of physicality than matter, for example wave/particle relationships and non-material forces produced by particles. So both scientism and physicalism assert that the mind and all its products and processes can be reduced to the laws of physics operating on physical structures (ie biochemical reactions and physiological processes within the neurones of the brain). Buddhist philosophy disagrees with this, and asserts that physical causality and physical processes are in themselves incapable of producing mind. Buddhism regards mind as an axiomatic feature of the universe, which cannot be reduced to physical mechanisms. Fortunately we have a precise definition of what is physical, and consequently what is non-physical, due to the work of the great Buddhist philosopher, mathematician and code-breaker Alan Turing. Turing showed that any system which has a physical basis can be modelled and explained in terms of algorithms and data structures. For practical purposes this means that any physical system can be modelled and explained by reduction to computer procedures acting on inputs, outputs and database tables. Algorithms are of vital importance in modern science, and the usefulness of any scientific model can be judged by its algorithmic compression, which means how much simpler the simulation, or explanation is, than the phenomena that it describes. Following on from Turing's work, Buddhist and other non-physicalist philosophers have sought to refute scientism and physicalism by producing examples of phenomena that cannot in principle be reduced to algorithms and datastructures, but which can be processed by the human mind.